The G402 Hyperion Fury is a leaner version of the G502 Proteus Spectrum. It loses the weights system and some customizable buttons. In addition to the standard left and right buttons and clickable scroll wheel, the mouse also boasts a sniper button (for one-touch DPI switching), DPI up and down buttons (which cycle between four DPI presets), and two programmable thumb buttons. 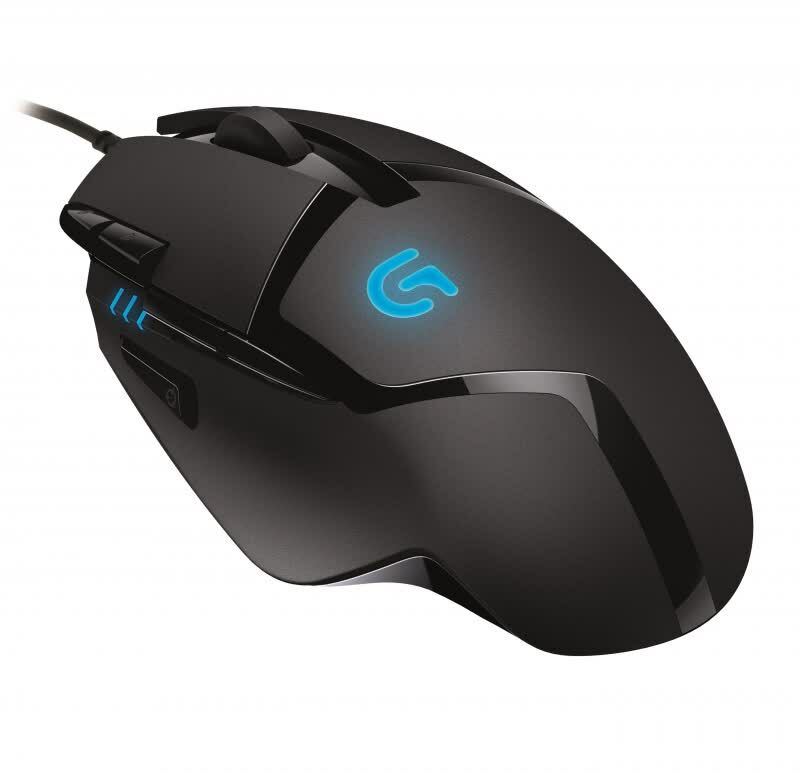 Logitech's new G402 is billed as the fastest gaming mouse money can buy for high-speed FPS gameplay, with a track speed of over 500 inches per second using the company's Fusion Engine sensor technology combining an accelerometer and gyroscope, as well as its Delta Zero sensor tech for extreme accuracy. 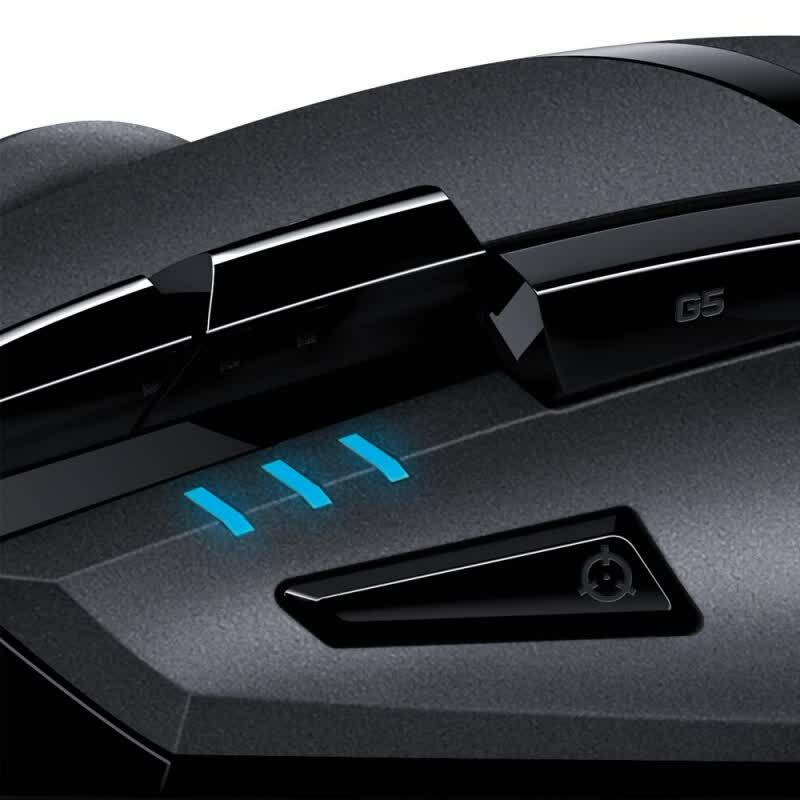 The G402 has a very similar design to Logitech's legendary MX518 gaming mouse, with a large ergonomic right-handed shape that is best suited for palm or claw grips. It has a smooth, matte black plastic build for the bulk of the mouse, with a grippy rubberized material in the thumb and pinky grooves. The mouse is slightly on the heavy side at 108g, but its still fast and maneuverable on the right mouse mat. Overall, this is a solid pick for playing FPS games with its tracking. 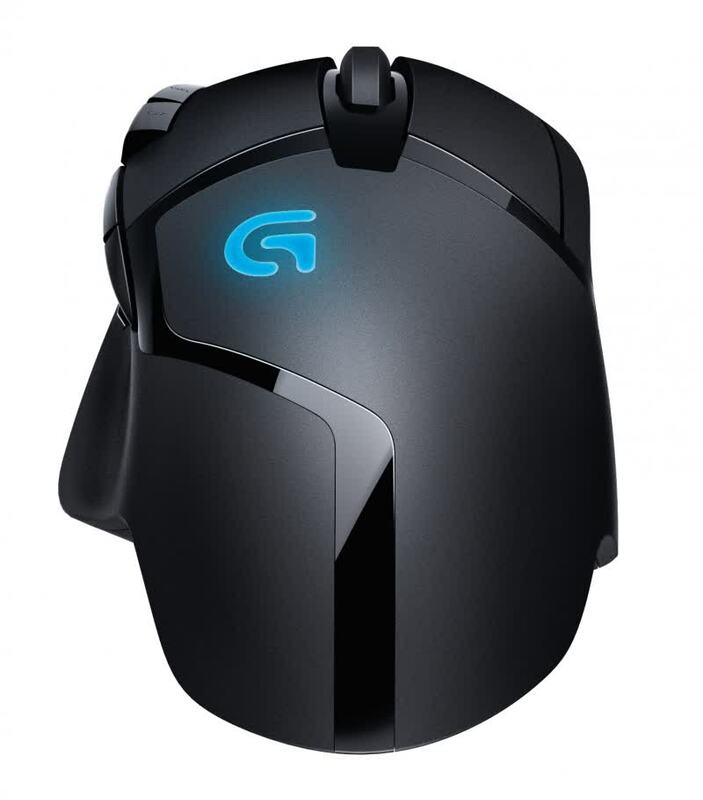 This is also a good compromise if you’re planning to save and think you won’t need the extra features of the G502. The Logitech G402 Hyperion has a decent price and has the right amount of buttons with a few extra features. The build design as well as the button placement is well thought of. The ability to customize the mouse complemented by the amazing Logitech Gaming Software makes customizing this mouse very easy. A great mouse that does whatever you want it to do. Note: some maintenance required. Logitech G402 Hyperion Fury is sure to be a delight among gamers. At first glance it may not look like much, but once you start using it you can tell it is made for FPS gaming. The feel and weight of it are just right for FPS games and there is not a large array of buttons that get in the way of the two main buttons, which by the way use OMRON switches, which means they are going to be able to take a beating. The Logitech G402 Hyperion Fury may not come with as many bells and whistles as the G502 Proteus Core, but that doesn't make it any less of a capable gaming device. 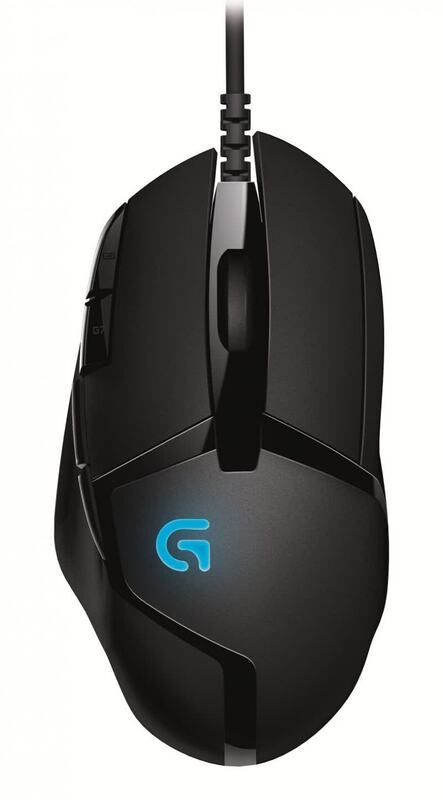 The G402 easily stands shoulder to shoulder with other premium pro gaming mice. During game time, I could easily change the speed of the mouse with the two buttons located near the index finger without using much time, as going a little too fast would also mean you might not “point and shoot” accurately. The shape of the mouse was really comfortable that I could play games on it for hours without cramps which of course is fantastic as you wouldn’t want your fingers and wrist going numb halfway during game time. While it may not be the most attractive gaming mouse on the market the Logitech G402 Hyperion Fury absolutely delivers where it matters. It’s really comfortable to use and it performs superbly. Overall, the Logitech G402 is a solid piece of gaming equipment. 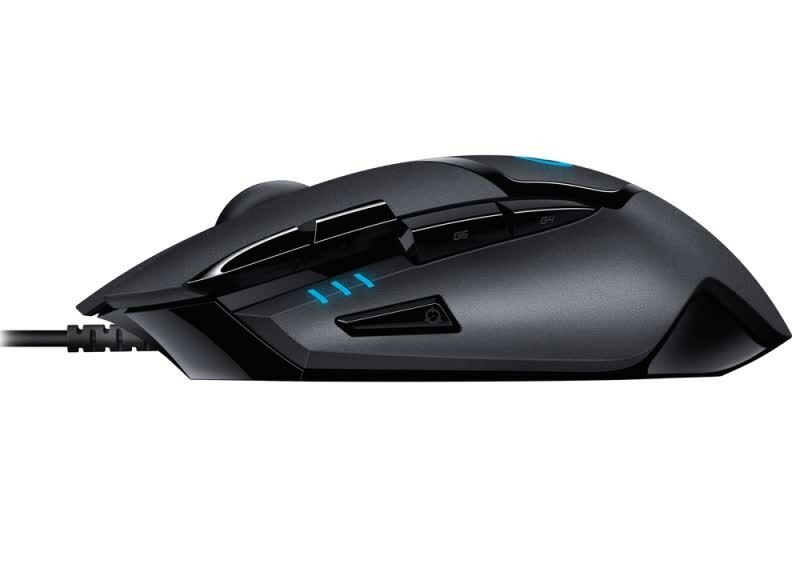 While there are many cheaper alternatives for a wired mouse, for the aspiring first-person shooter champion this model is well equipped to handle their needs with the speed that has been promised. Comfortable to hold, with variable levels of accuracy and eight hard wearing buttons, this mouse won’t let you down in a pinch.